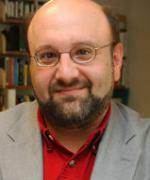 Steven Horwitz is the Charles A. Dana Professor of Economics at St. Lawrence University in Canton, NY. He is the author of two books, Microfoundations and Macroeconomics: An Austrian Perspective (Routledge, 2000) and Monetary Evolution, Free Banking, and Economic Order (Westview, 1992), and he has written extensively on Austrian economics, Hayekian political economy, monetary theory and history, and the economics and social theory of gender and the family. His work has been published in professional journals such as History of Political Economy, Southern Economic Journal, and The Cambridge Journal of Economics. He is also an Affiliated Senior Scholar at the Mercatus Center in Arlington, Virginia where he has published public policy research on Walmart's role in Hurricane Katrina recovery as well as on the ongoing recession. His current project is a book tentatively titled Classical Liberalism and the Evolution of the Modern Family. Horwitz is the book review editor of the Review of Austrian Economics, an associate editor of the Journal of Economic Behavior and Organization, and a co-editor of the book series Advances in Austrian Economics. He is also a contributing editor and weekly online columnist for The Freeman. He has been a visiting scholar at the Social Philosophy and Policy Center at Bowling Green State University and a past recipient of three fellowship research grants from the Earhart Foundation and an F. Leroy Hill summer fellowship from the Institute for Humane Studies. From 1993 to 1998, he held the Flora Irene Eggleston Faculty Chair at St. Lawrence University, where he also was awarded the Frank P. Piskor Lectureship for 1998-99 and the J. Calvin Keene Award in 2003. From 2001 to 2007, he served as the Associate Dean of the First Year. Horwitz has spoken to professional, student, policymaker, and general audiences throughout the US and Canada, and is also a recurring guest on Fox Business Channel's Freedom Watch program and an occasional contributor to PBS's Nightly Business Report blog. A member of the Mont Pelerin Society, he completed his MA and PhD in economics at George Mason University and received his A.B. in economics and philosophy from The University of Michigan.